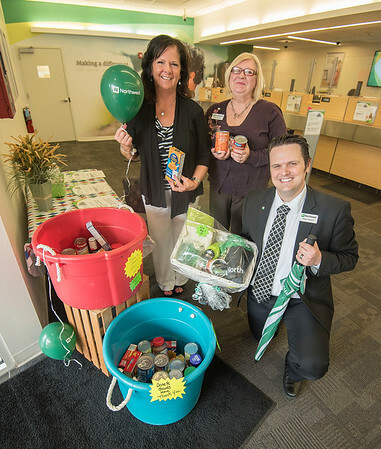 Niagara Gazette, NY - As part of community bank week Northwest Bank employees hare having a canned food drive to support the local Lords Day Dinner. Participants who donate have a chance to win prizes. Staff from left are, Branch Manager Kim Wisor, Teller Teresa McClellan and Teller Jeffrey Anaclerio.